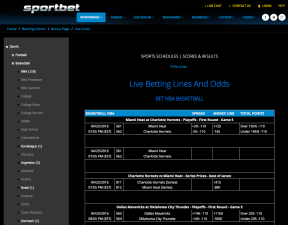 SportBet.com, the sister site to 5Dimes.eu, is one of the pioneers of online sportsbooks. They have been online since 1997 and have come a long way in building up their company to the top-tier level that it sits at today. The site has also stayed atop SBR’s ratings with frequent “A” and “B+” grades over the last decade. SportBet.com is currently headquartered and licensed out of Costa Rica and is apart of large family of sports betting and casino websites that operate under the same management. They have set themselves apart from other books with a huge selection of lines and sports markets. Customer service is available 24 hours a day and they are well known for their fast payout times as well. Management has committed itself to the loyal customer base at SportBet.com for many years now and have expanded their global presence to service as many markets as possible. Their developers have brought a superior sports betting platform to the table and it seems like the site is always being kept fresh and never outdated. Check out our review below and you’ll see why SportBet.com is one of the most recommended books in the industry. >> Sign up today and get your bonus package worth up to $520. 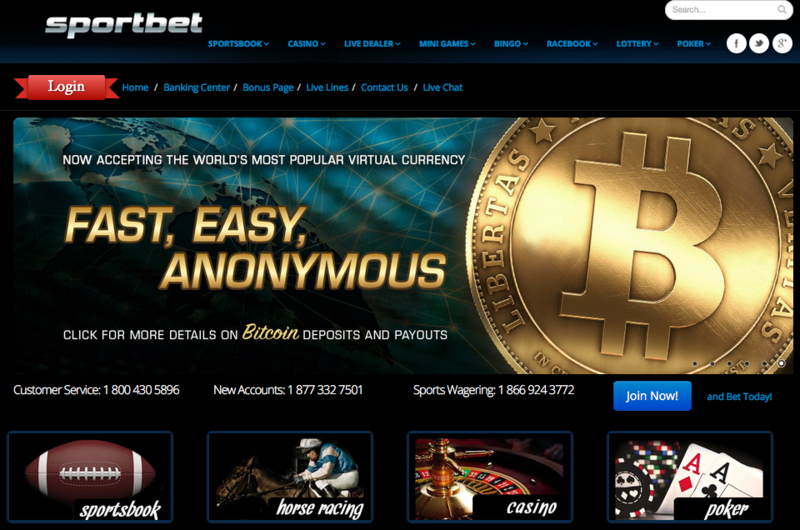 One of the pioneers of online sportsbooks - very trusted and also the sister site of 5Dimes. 30% Super Saver Bonus gets you -107 pricing on most bet types. Tons of withdrawal options for players. Mobile site could use a more unique and updated look. Contacting Live Chat to ensure which bonus option you want to choose is inconvenient at times. There are a variety of bonus packages that SportBet.com offers new players, including loyalty bonuses and reload opportunities that will continually reward your account with extra cash. I’ll go ahead and break down the most popular bonuses, including reload specials, reduced juice and cash back bonus programs, too. 30% Super Saver Bonus – This is advertised as their “Best” bonus package for new players. I particularly enjoy this as a recreational bettor as you get access to -107 style pricing, which is essentially a 30% price discount on all major sports (football, basketball, hockey, baseball, boxing/MMA and tennis) when you select certain spreads, totals and moneylines. As an added bonus to this particular option is you will also get 30% price cuts on parlays. While most of the competition offers anywhere from 2.61 to 10/1 odds on 2 to 4 team parlays, SportBet.com offers them at 2.74 to 13.01/1 on the same parlay plays with the -107 pricing you get on this package. ** All new accounts are defaulted to this package so if you don’t want it you’ll have to contact Live Support and select a more traditional bonus package, especially if you’re looking to get an actual cash bonus credited to your account. 50% PLUS New Player Bonus – This is of course a popular selection for bonus hunters, as new players can earn a 50% bonus on deposits of at least $100. However, if you deposit at least $500, not only will you earn 50% in bonus cash, but you will also earn an EXTRA 20% Free-Play bonus as well! These bonuses are capped at $520 in extra Free Play cash, which means you can only deposit up to $2,000 before your bonuses is capped out. It is an amazing offer for novice bettors and even the more serious punters alike in my opinion. ** As a reminder, all bonuses come in the form of “Free Play” so you do have to wager a certain percentage of your deposit before the bonus is incrementally released to fulfill the rollover requirements. Reload Bonuses – The reloads are pretty clear-cut at SportsBet.com. If you reload your account with a deposit of anywhere between $100 and $2,500, your account will be credit with a 20% Free Play reload bonus. There are rollover requirements before you can withdraw any of the free play cash but its not as difficult as other books so you shouldn’t worry much there. ** With ANY reload you must make sure you contact support as these reloads are manually approved by customer service. Any wagers you make before making an accepted deposit will not count towards the play of said deposit. Use Live Chat, email or call them directly at 1-800-430-5896 to ensure the reload bonus is properly credited. Other miscellaneous bonuses and benefits can be found on this page: http://www.sportbet.com//info/gambling-bonus.html. 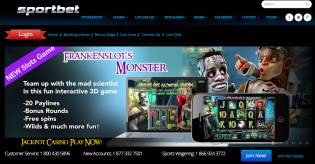 They literally have bonuses, cash back and reduced juice bonuses and perks for sports, horse racing, individual casino games and of course the poker room. As far as lines go, there are a lot of reduced juice options for a lot of the major sports, with -107 pricing for new bettors who take the 30% bonus betting package upon making their first deposit. The site also offers some of the best pricing in the biz for parlays and pleasers odds, including other multi-team bets like teasers. We will delve into that a little more in this review – just check the next section. 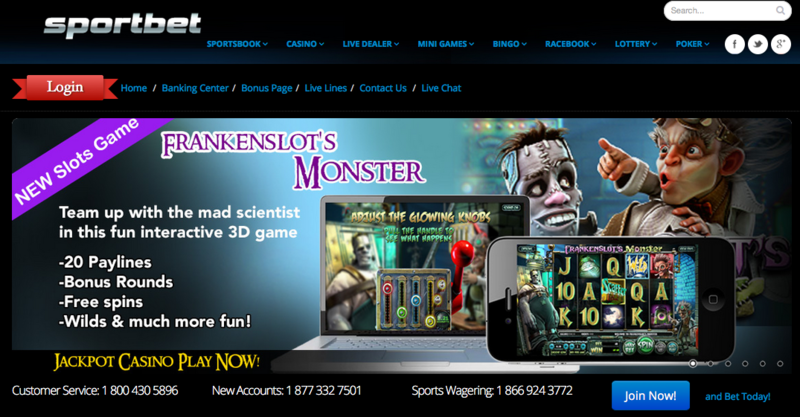 SportBet.com has been touted by many sportsbook review sites and media publications for their fair lines pricing on most every type of bet they offer to their customers. 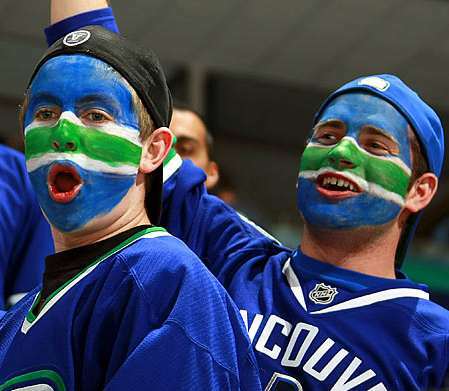 The site is continually updated to keep up with the ever-changing sports markets and they are constantly working to ensure that their lines are similar – if not BETTER – than the lines of the “other guys” out there in the industry. For those looking to see the payout charts on all these bets, I recommend visiting this link: http://www.sportbet.com//Sportbook/Payout-Chart.html. As I had mentioned earlier in the bonuses section, the best way to really exploit some of these bets is to accept their 30% Super Saver program when you first sign up. This will get you instant -107 pricing on spreads, moneylines, runlines (MLB), totals, 1st and 2nd half spreads, match moneylines (for Boxing/MMA and tennis), 1st period moneylines (NHL) and all quarter spreads and moneylines (football and basketball). These -107 odds also apply to multi-team parlays, which already pay out better than most books in the entire sports betting industry before you even apply that 30% discount. The site already offers reduced juice and dime lines for certain sports, so you’re already ahead of other bettors who are getting standard lines for the same sports. The banking options aren’t as numerous as other books, but the ones they offer normally get the job done quickly and efficiently, especially since they have an on-call support staff that can assist with any problems when funding your account for the first time. Before we list the available deposit options, please note that you can contact support via Live Chat on the SportBet.com website, email at [email protected] or call someone at 1-800-305-3517. Visa/MasterCard – $500 max deposits per transaction. Person to Person Transfer – $100 to $1,500 transfers allowed using P2P. Money Order – Up to $1,000 maximum ($100 min deposit). Bitcoin – Deposit anywhere from $50 to $10,000 per day using BTC. Sportsbook Transfer – Minimum transfer amount is $500 using this method. Account to Account Transfer – Must email support for approval; $50 minimum. Neteller – Maximum deposits vary on location; minimum deposit is $50. Skrill – Contact support for deposit limits. Most deposits clear within a matter of minutes and will be available to use in the sportsbook, racebook, casino and poker room. 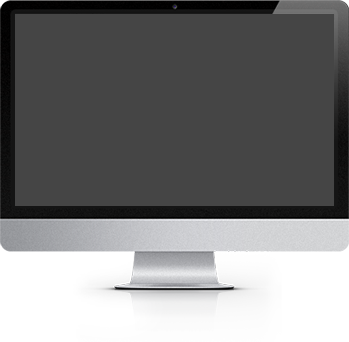 Person to Person (P2P) – $100 to $1,500 per 8 days; must be approved by support. Cashier Check – $40-80 fee to use this method; $1K to $7.5K max allowed per transaction. Money Orders – $80 processing fee (waived ONCE a month on Monday’s before 1 pm EST); customers can withdraw up to $9,500 using this method on their account. Bank Wires – $80 processing fee; $5,000 minimum, $7,500 maximum. Bitcoin – No fee, up to $10,000 maximum allowed for withdrawal. DCFA and CCFA Options – Contact support for withdrawal limits and access to this method. Prepaid ATM Card – SportBet.com provides these for customers looking for instant withdrawals ($25 flat fee). $500 max ATM withdrawal a day; other stipulations apply. Sportsbook Transfer – Contact support for approval; $500 minimum needed to transfer. Account to Account Transfer – No fees for this; $50 minimum withdrawal. Neteller – $15 fee; withdrawal maximum’s vary by location and account status. Skrill – $15 fee; withdrawal maximum once again dependent on account location. Please make sure to check your cashier backend to ensure you contact support or Live Chat at the proper time, because many of the aforementioned withdrawal options must be used during certain times and days of the week. They must also be approved by customer service reps or management in some cases, too. SportBet.com, like their sister site at 5Dimes.eu, has a pretty decent mobile platform for its players. As long as you have a smartphone or tablet, then you will have instant access to this unique betting backend. You can load your account dashboard and cashier straight from your mobile browser and find whatever line or sport you’re looking for. For me, this is a huge plus for bettors looking to make wagers on the go – or at the very worst, if your internet connection goes down. Your 4G or LTE service should suffice when it comes to loading the SportBet.com website on your browser from your Apple, Samsung and/or BlackBerry device. The site loads quickly and easily like it would on a normal desktop, but the layout is 100% made for mobile users. 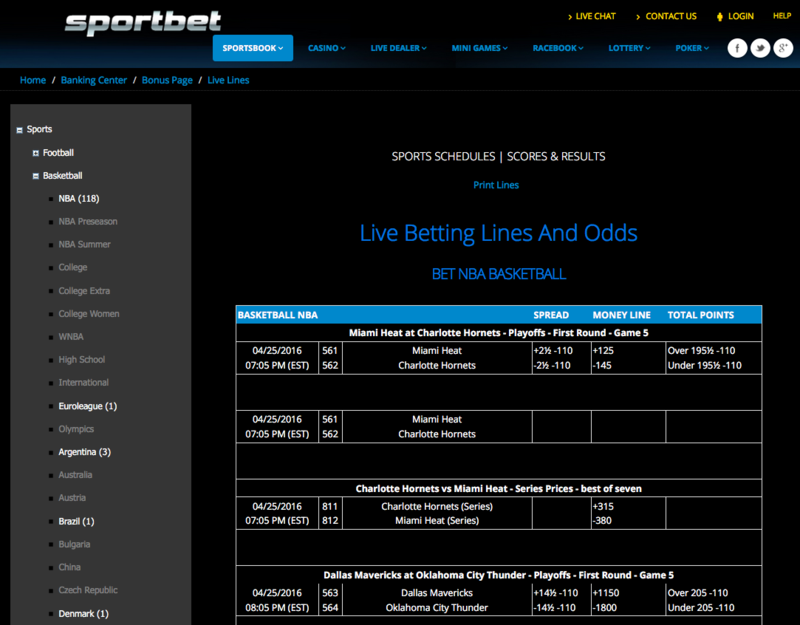 You can login to your account and use simple dropdown menus to navigate around the site for sports markets and lines. Bets can be made just as fast on your iPhone or Samsung Galaxy than on your desktop or laptop, trust me. You can select several bets at once and input all your information as you normally would on the regular site. Players can also check the status of any in-play wagers straight from your device. In fact, you could even head over to the casino and play a game of blackjack from your phone if you wanted. You even have access to live chat right from your fingertips. This mobile platform makes things like this a breeze and it’s just one more thing that makes SportBet.com appealing for users. Check it out today.